The Woodchipper is our drop bar off-road handlebar. 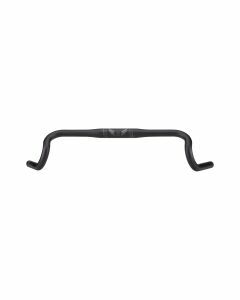 It delivers the most hand position options of any of our drop handlebars, and offers great control on challenging singletrack terrain. The non-conventional shape requires a more unique setup for optimal performance: the brake/shifter position should be canted downward with the drop portion of the bar angled in the 20–25° range. It will only take one long off-road bikepacking trip will convince you of the Woodchipper's amazing capabilities.